Founded in 1990 and based on chamber orchestra of Glinka Niznhy Novgorod State Conservatoire that was founded in 1981, the collective during many years existed thanks to the support of the city progressive intellectuals and the enthusiasm of its participants. The status of municipal cultural institution was granted to the orchestra by the city in 1994. 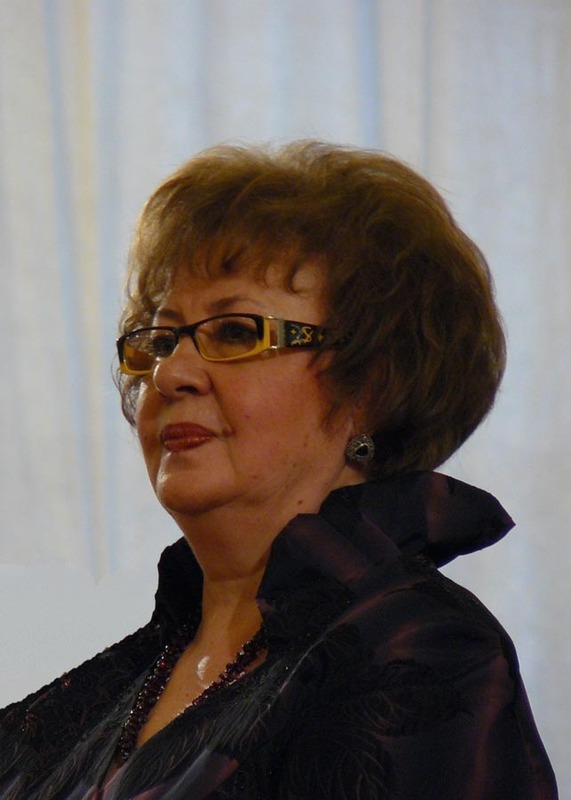 Professional career of the collective connected to the name of honored artist of Russia, professor Sofiya Propischan who had been leading the orchestra since 1990 to 2003 (during this period it had another title - Ensemble of soloists "Sofiya"). 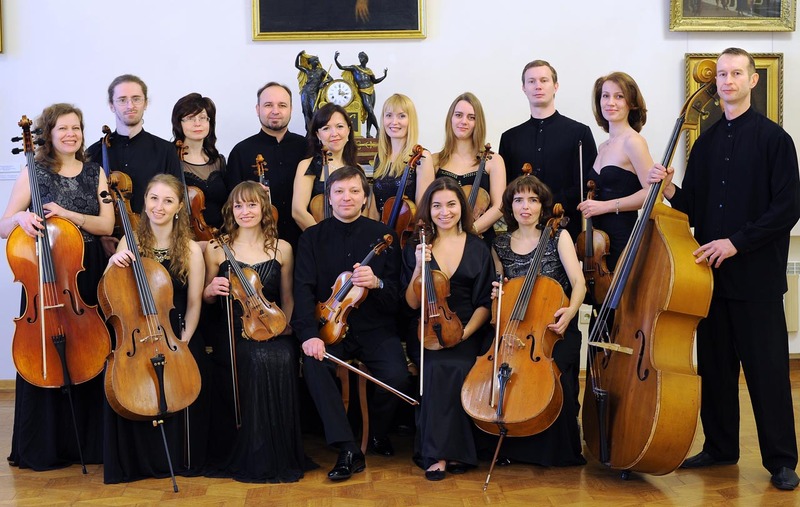 Since the end of 1990-s, the orchestra tours actively and performs with its own projects, regularly participates in the largest festivals and forums in Nizhny Novgorod. 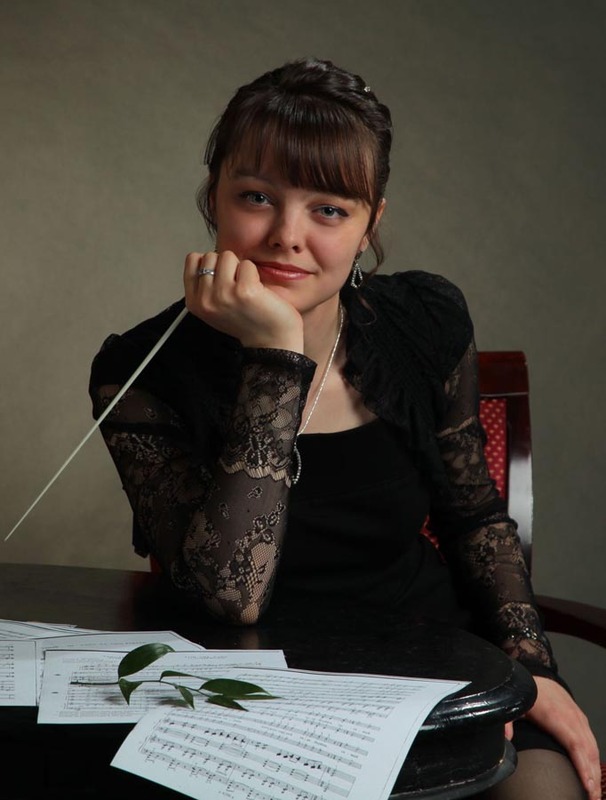 Since 2003 its leader is the soloist of the orchestra Vladimir Plaksin, who was a student of Semyon Yaroshevich, the founder of chamber orchestra of conservatoire. Dmitry Stoyanov was invited as the concertmaster. The close collaboration with a legendary musician Igor Zhukov and Maestro Christoph Meier played a huge role in the new collective’s history. A series of projects "Historical performance practice" was embodied under the leadership of Christoph Meier. It was dedicated to the idea of historically adequate interpretation of baroque and classicism. The collective was founded in September, 2006. Small in composition (12 – 16 singers) and being renewed annually for its half (consisting of 1-2 courses students of Choral conducting department), academic female choir holds the position of quite independent and having its own performing face creative collective. 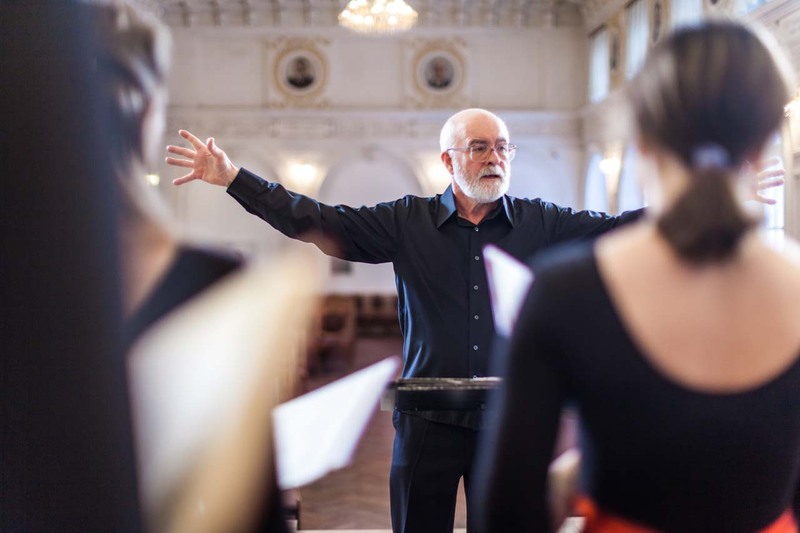 Consistently warm reception rendered to the choir by very different audiences may be explained by subtle expressiveness, honesty, emotional elation and expressive performance. Considerable public interest is caused by a variety of concert programs including the best examples of Russian and foreign classics of six centuries, transcriptions of vocal miniatures, folk songs arrangements and pieces of popular music. 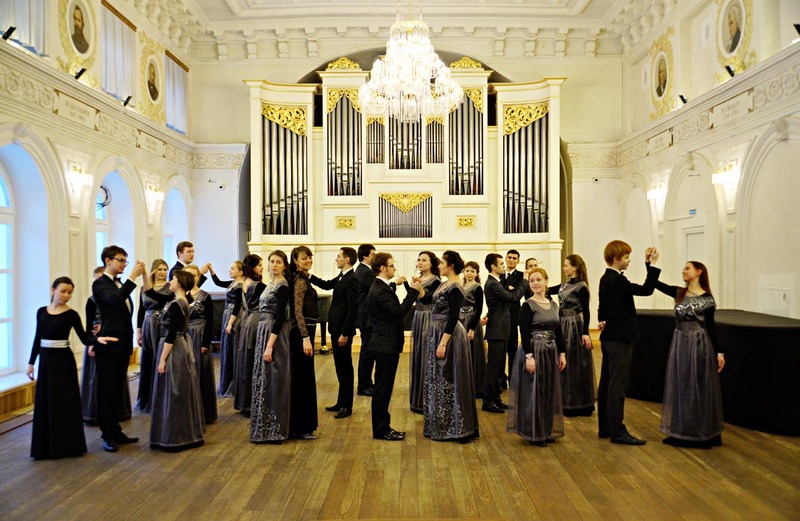 Choir has to its credit annual solo concerts at Great hall of Nizhny Novgorod Conservatory, city concert venues and nearby districts of Nizhny Novgorod area venues, participation in collaborative projects of the city creative collectives, numerous guest appearances in Moscow, Kazan, Vladimir, Yaroslavl, Rybinsk, Vologda. The choir is a diploma winner of L. Sivukhin choral festivals, Sheremetev choral assemblies, Rybinsk choral festival dedicated to 100th anniversary of V. Sokolov birthday. The success of the collective is largely determined by the reigning atmosphere of sincere interest in understanding of all the choral performance secrets, dedication of each and every to the hard work to improve their vocal and choral skills. Female choir of Nizhny Novgorod Conservatory plays a significant role in training of future choirmasters, being an active participant of annual conductors competitions organized by Nizhny Novgorod Conservatory and the base for conductor’s practice of Conducting department students of Nizhny Novgorod Conservatory. 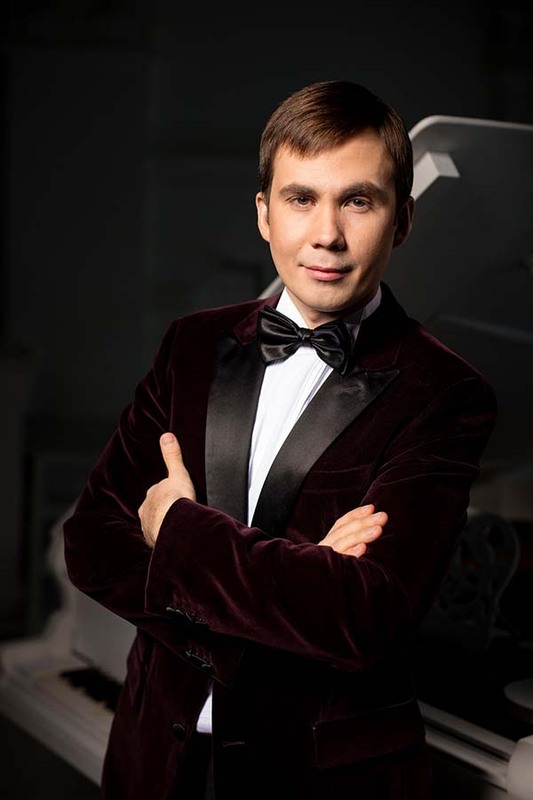 Art director and main conductor is Nikolay Pokrovsky. 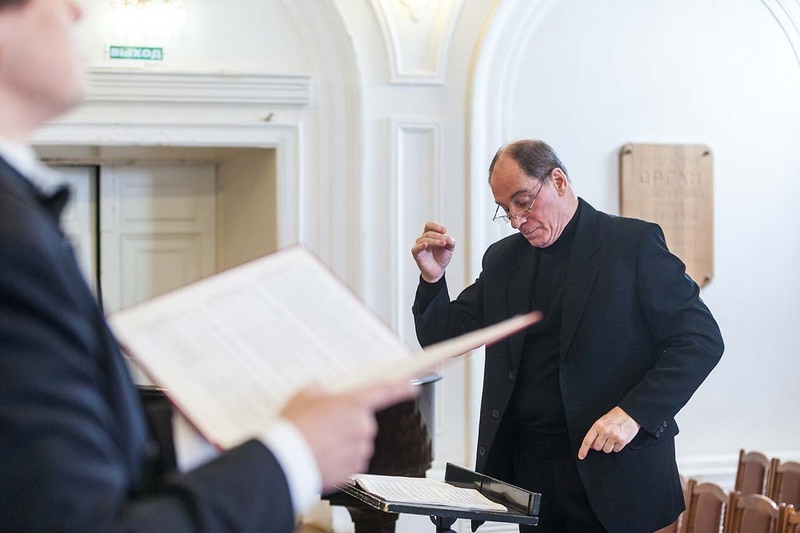 Nikolay Pokrovsky is the head of Choral conducting department of M. Glinka Nizhny Novgorod State Conservatory, professor, art director of Female choir of Nizhny Novgorod State Conservatory. Saratov provincial theater of choral music was founded in 1991 by the initiative of Honored Worker of Arts of Russia Ludmila Litsova who is its art director and main conductor. 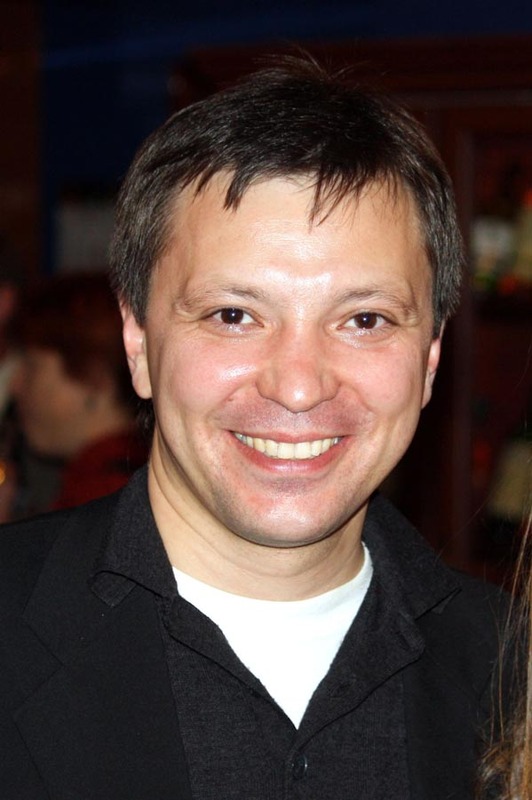 The collective is a laureate and Grand-Prix winner of International competition of choral music (Poland, 1993), V Internaltional competition “Yalta-Victoriya-2005” (Ukraine, Yalta, 2005), laureate of II International competition of choirs “Singing World” (2006), participant of more than 40 international festivals in France, Germany, Poland, Ukraine and Russia (Moscow, Saint-Petersburg, Nizhny Novgorod, Tambov, Saratov). 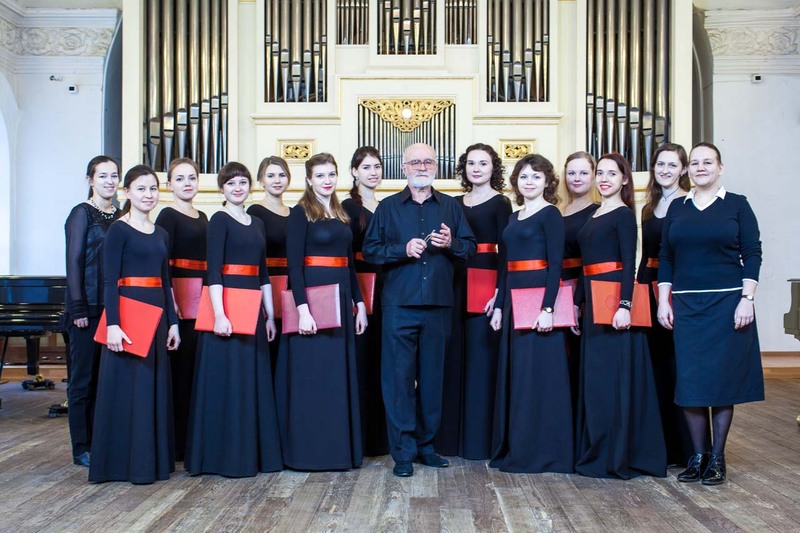 The collective is a permanent participant of international festivals of orthodox music and “Moscow fall” in Moscow, Dyagilev festivals in Perm (2013, 2014), International music festival “World. Era. 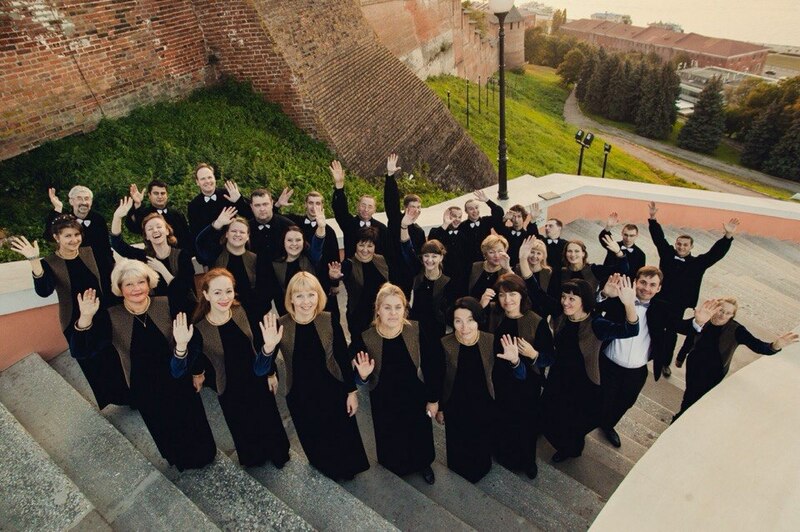 Names” (2014, 2015) and Interregional choral festival “Ascension” (2015) in Ulyanovsk, Volga choral assemblies in Volgograd (2014), Neygauz festival and Sobinov festivals in Saratov. Its repertoire contains works of different epochs, styles and genres: from G. Palestrina and J.S. Bach to A. Schnitke and K. Penderecki. 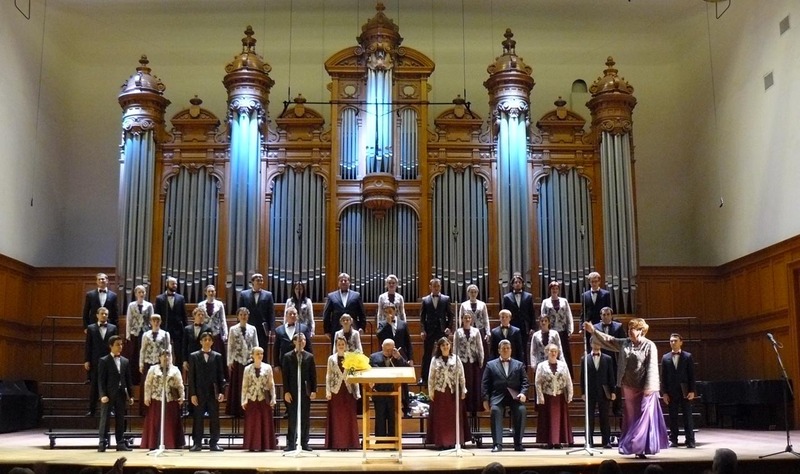 Saratov provincial theater of choral music recognized as one of the best Russia choirs, and a number of contemporary composers creates pieces specially for this collective (M. Arkadiev, M. Gogolin, S. Ekimov, M. Kalistratov, A. Kulygin, A. Larin, E. Podgayts, V. Ryavov, Y. Falik etc.). Many orchestras from Moscow, Saint-Petersburg, Kaliningrad, Nizhny Novgorod, Krakow, Bydgoszcz, Hajnówka (Poland), Frankfurt am Main and Alzenau (Germany) collaborated with it; conductors D. Botinis, M. Granovsky, O. Zverev, D. Kitayenko, Y. Kochnev, F. Mansurov, A. Rudin, E. Serov, A. Feldman, E. Khilkevitch, O. Yanchenko (Russia), M. Knell, L. Kremer and G. Jenemann (Germany), H.M. Florenzo (Poland), T. Currentzis (Greece, Russia). As a part of the collective different ages choirs successfully perform – the winners of international competitions. The choir was founded in 1973 by People’s artist of RSFSR, Honored Artist of RSFSR, a honorary citizen of Nizhny Novgorod Lev Sivukhin. Thanks to Lev Sivukhin, choral music of contemporary composers, masters of ancient polyphonic school - Lasso, Despres, Clément Janequin, Monteverdi, Dufay, and Russian sacred pieces of Bortnyansky, Berezovsky, Rakhmaninov, Kastalsky, Tchesnokov, that were sounding very rare during Soviet period, began to sound more often in the city. The JazzVocals are a group of chaotic-creative individualists of very different ages: Around 25 singers are part of the Berlin based a cappella choir. The ensemble rehearses since 1991 at the music school Béla Bartók in Pankow-Weißensee, Berlin. For us Jazz is more of a universal idea. It describes everything that has a groove to it - be it songs by The Beatles, funk or world music. Our repertoire is quite colourful, ranging from jazz standards to pop and folk music as well as our own arrangements. We perform with passion and joy and our concerts are filled with improvisations mouth percussion and sound experiments. The JazzVocals participated in numerous festivals and workshops throughout Europe and Latin America. We tied many connections as well as organizing and participating in exchanges with international choirs - always searching for unique harmonic compositions, eager to share experiences and to build new friendships all over the world. Friendship is the center of the JazzVocals and that's what you can hear, see and feel. The fun we have at our concerts is contagious. After being honoured with outstanding achievements and the first place at the Berliner Chortreff in 2013, JazzVocals won third place at the Deutscher Chorwettbewerb 2014 in the category Jazz and Pop Music and merely two weeks later first place at “Cracovia Cantans” the International Choir Festival in Kraków, Poland. On this occasion the choir was invited by the chair woman of the jury, Irina Roganova, to the International Choir Festival in St. Petersburg, Russia, which she is presiding over as Artistic Director. Naturally, JazzVocals accepted the invitation and visited this breath-taking city in March 2015 and once again won over the Jury and took first place in the competition. 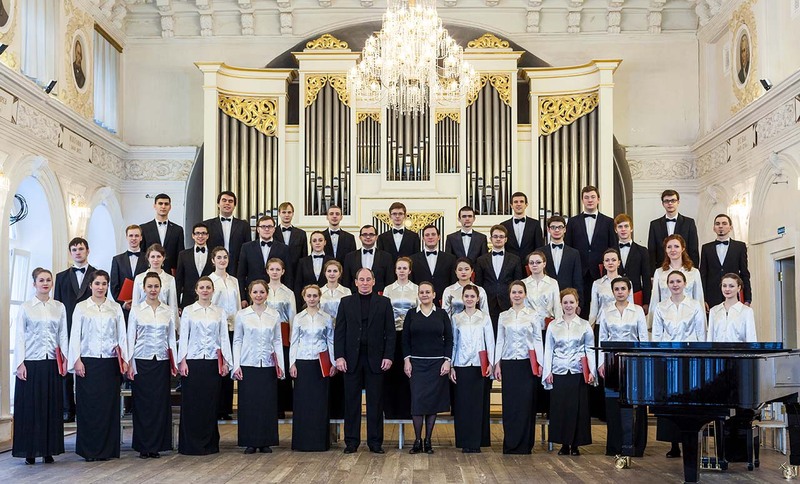 In June 2015 conductor Susanne Faatz and four members of the choir once again travelled to St. Petersburg and gave a master class for other conductors and choirs. It was a resounding success and so the choir is delighted to be invited to the “Young Voices” Festival 2016 in Nizhny Novgorod as the special guests of the festival. 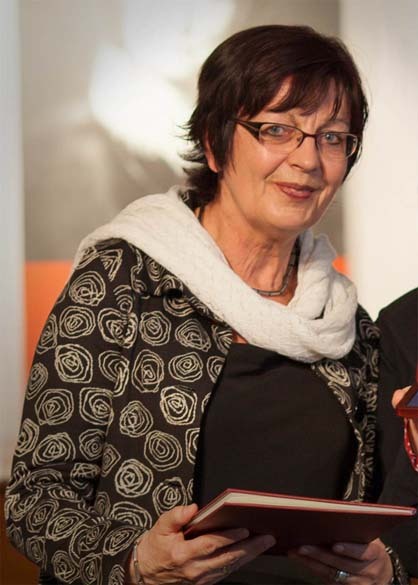 After working as an academic high school teacher for many years our conductor Susanne Faatz now fully dedicates her time and passion to music and especially choral singing and is a freelance conductor at the music schools Treptow-Köpenick and Pankow-Weißensee in Berlin. Besides conducting the JazzVocals and other choirs she is attending national and international jazz and choir workshops and is herself organizing workshops since 2001, training other teachers and working as a Juror. She is a member of the music committee for the Berliner Chorverband. During her years as an active teacher she initiated various musical projects with her students. In her free time she was a member of the Berliner Singakademie and its chamber choir. In 2013 Susanne Faatz received the Geschwister-Mendelssohn-Medal acknowledging her extraordinary achievements for the choir community in Berlin.